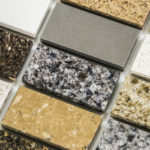 Debating what type of materials to go with for your new kitchen cabinets? 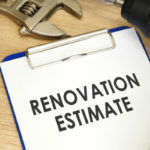 This is a question all remodelers are faced with. The most common material used for kitchen cabinets is wood, but why? What makes wood such a great material for crafting cabinets, in both high-end and middle-grade kitchens? Here we detail the main advantages to wood cabinets, helping you make the best decision for your kitchen remodel. What Are Your Other Options Besides Wood Cabinets? First and foremost, what are your other options besides wood when it comes to crafting cabinetry? 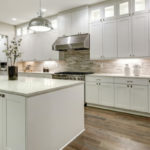 Cabinets not made of wood are generally made of either Thermofoil or laminate, which both come in a variety of colors, textures, and appearances. Many are made to imitate the look of wood, but what they cannot duplicate is the durability of wood. 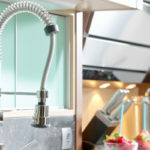 Synthetic cabinet materials are usually only the best option if you are working with a very small time frame or budget. This is because laminate and Thermofoil cabinets cannot provide the same benefits as wood. 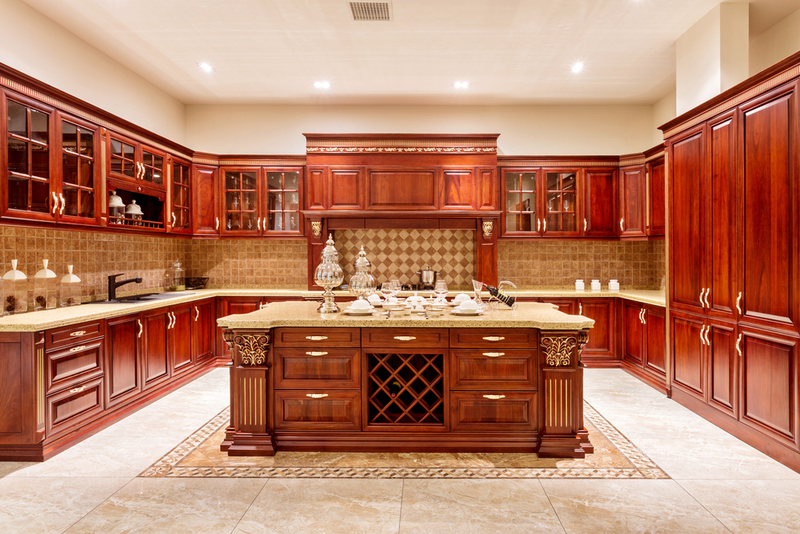 Here are 4 of the most compelling advantages to installing wood kitchen cabinets. Wood cabinets have a certain look to them; they are classic, beautiful and timeless. The appearance of real wood cabinets is noteworthy and adds value to any home. Wood is flexible and can be used in many different ways in terms of shape, design, and color. Wood cabinets are not terribly labor intensive, meaning you can find more affordable prices on installation, even with certain customizations. On the contrary, metal cabinets for instance, are very labor intensive to install and can cost a lot more money for this reason. Not all wood is created equal; some wood cabinets offer a lot more durability than others. High-end woods are extremely durable and known to last for many years. For instance, white oak is going to be more durable than red oak. There are many different types of wood, varying in cost, appearance, and durability. The variety of wood outweighs any other cabinetry material, especially because you can paint wood any color you’d like. Maple: This grainy lightwood has a very consistent color base, and is especially popular if you plan to paint your cabinets a solid color. Oak: Oak is a medium to light colored wood that has a much more defined grain than maple wood. This predictable wood has natural knots and other streaks in it and looks good with a polish finish. Hickory: Beautiful and durable, dense and with well-defined grain. Hickory wood is great for anyone seeking a more unique look. Cherry: The color of cherry wood is known to lighten over time, especially with exposure to light. Within a few months of installation the original color may vary. Cherry comes with and without rustic knots, and tends to be one of the more durable woods able to withstand a fair share of good knocks. Pine: This softwood is known to incur dents easier than other types of hardwoods, although it is still commonly used for cabinetry. The knots found in pinewood work well for country or traditional style kitchens depending on the complimenting décor. You don’t have to love the color of the wood you select; there are stains and paints available to change this. The more rare a wood is, the more money it is going to cost to purchase. Know your options well before making any final decisions. Are There Any Drawbacks To Wood Cabinets? There are drawbacks to everything in life, and to say they are no drawbacks to wood cabinets would be a lie. The drawbacks are the possibility of water damage as well as bug infestations. Bugs can chew their way through wood easier than most other materials. There are certain woods that are more susceptible to bug and water damage, it always helps to select woods that are more resistant to these threats, such as cedar or teak cabinets. Overall, wood remains the top choice for high quality cabinets that look great year after year. This is why wood cabinets are often the more expensive option, but not when you work with Tops Kitchen Cabinet. We want everyone to have a kitchen they love, at a price they can afford. We offer the latest in kitchen remodeling at wholesale prices. Be sure to check out our vast selection of cabinets, counter tops and more!